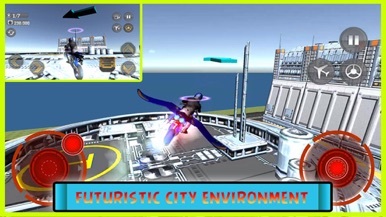 Get Ready for Flying Bike Racing after flying car games with amazing flying bike ride adventure an addition to the flying car games. Fly around the world travel beautiful landscapes be a real flying motorbike driver. 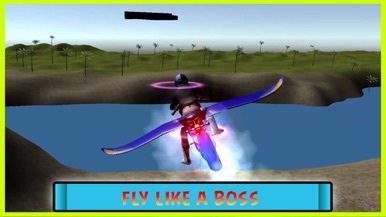 Get Set to Ride Your Flying Motorbike games simulator at Blazing Fast Speed and take a thrilling ride in modern city and off-road environment. Fly your Motorcycle, strap up your gear fly as fast as you can. If you like flying simulator games, this game is for you. Blazing fast speed with realistic bike physics makes this game a must play for every bike game lover. 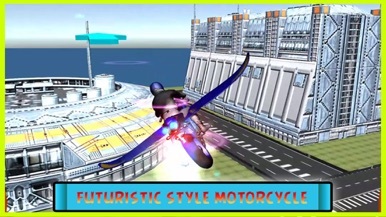 Flying Motorcycle games Simulator is totally different from other flying bike games and flying car racing games. 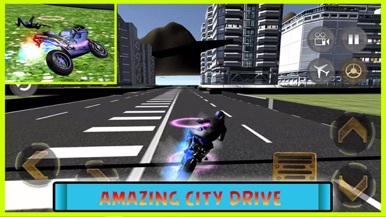 In this game as a hero you're driving a flying moto bike super hero of the world. An awesome mixture of stunt games and flying games. You can fly a bike, perform epic stunts, the best mixture of 2 worlds! Become the new skyman and put the stuntman to shame in this flying bike simulator. Gear up Fanatic fans of stunt bike racing games, highway bike racer and futuristic flying car driving simulator games. Captain the moto bike like the super heroes in America. Earn points to unlock a large variety of flying motorbike games, stunt bikes, dirt bikes, motorcycle and motorcross. Want to fly your motorbike and love Flying bike racing? 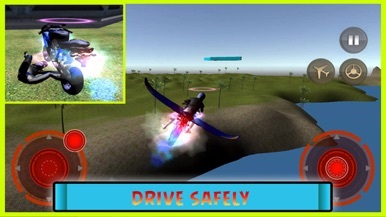 This game is for you new addition to flying car racing games ! You can test your air craft pilot skills and bike driving and riding ability at the same time. Fly your bike around the world discover new landscapes, Drive your Flying Bike games simulator, Be the best Bike rider! this game is for all fans of free car driving games, flying motorcycle games, Airplane Flight games and bike flying games. Download the Mashup Caribbean Takeaway app and make your takeaway delivery order today. The easy way to order Caribbean takeaway in .